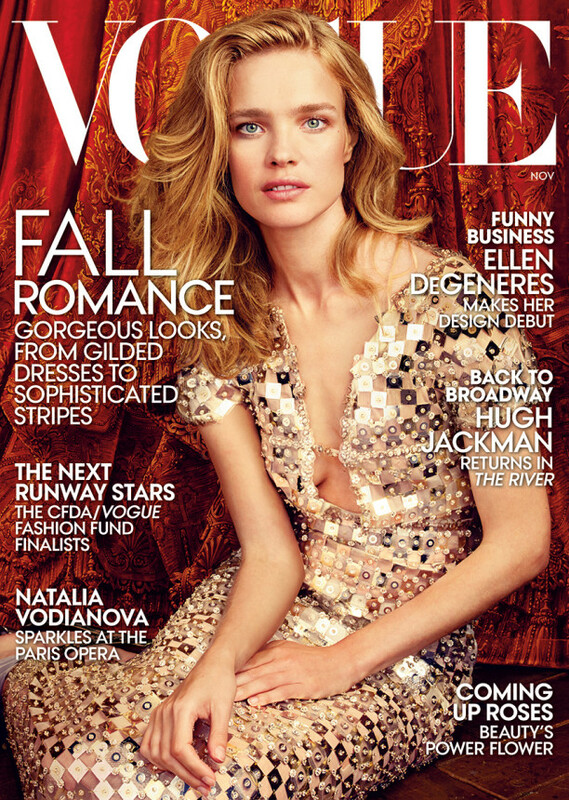 When we hear of Paris Opera Ballet, Vogue or supernova Natalia Vodianova, we get excited, because it tells us about something unusual, brittle and undoubtedly beautiful. Choreographer Benjamin Millepied celebrates his first season at the position of Paris Opera Ballet director and therefore Vogue organized a photo shoot in the city of fashion and art – Paris. Natalia wore stunning pieces from different designers like Oscar de la Renta, Chanel, Valentino, Carolina Herrera and Dolce & Gabbana. The breath-taking photos pictured Natalia at different places of the most expensive building in Napoleon III’s grand redevelopment, the Paris Opera House, where she was wearing various haute couture garments. We should mention the tricolour silk halter dress by Donna Karan New York, the remarkable Valentino organza dress, embroidered with flowers, which she wore on stage and amazing Oscar de la Renta tulle dress embroidered with beads and organza flowers, which Vodianova is pictured with at the grand stairs of the lobby. Overall, we are definitely proved that when you add three kinds of beauties, the supermodel, Paris Opera House and Haute Couture together, the results are more than outstanding.